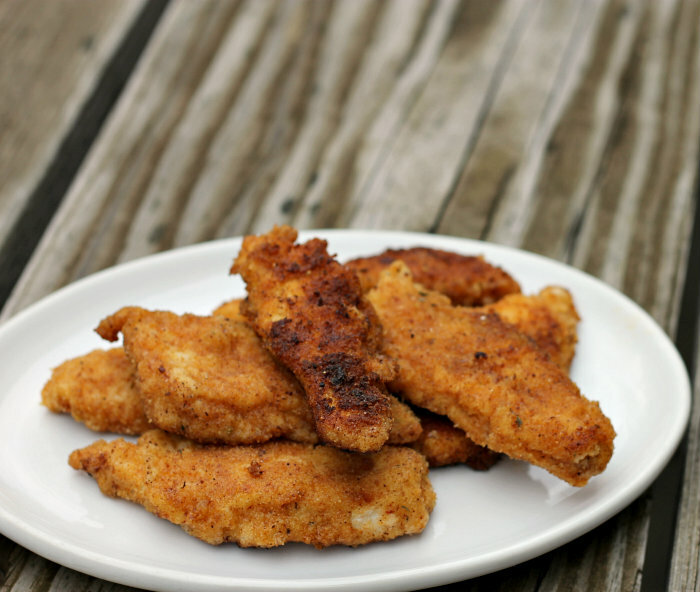 Breaded taco seasoned chicken strips flavored by taco seasoning, simple but a tasty idea. Being a food blogger is not always an easy task. If you are a food blogger you will know this first hand. There are many times I find myself at a loss for recipes and sometimes for words as well. 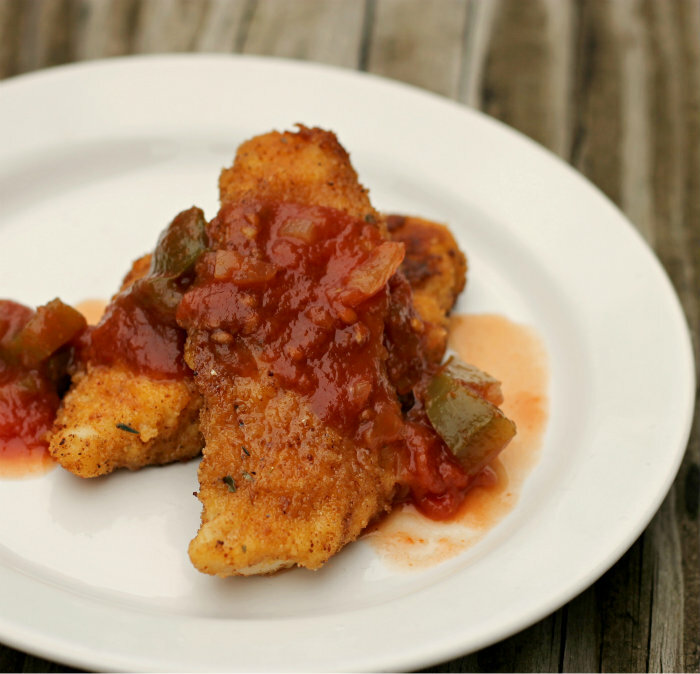 Then an idea comes out of the blue… like these chicken strips. This past week I was trying to decide upon what recipes that I would like to cook and then share and I was drawing a total blank. I wanted something easy, I guess I could say that I was being a little lazy. Then it hit me, why not take some chicken strips and roll them in some bread crumbs with some taco seasoning. 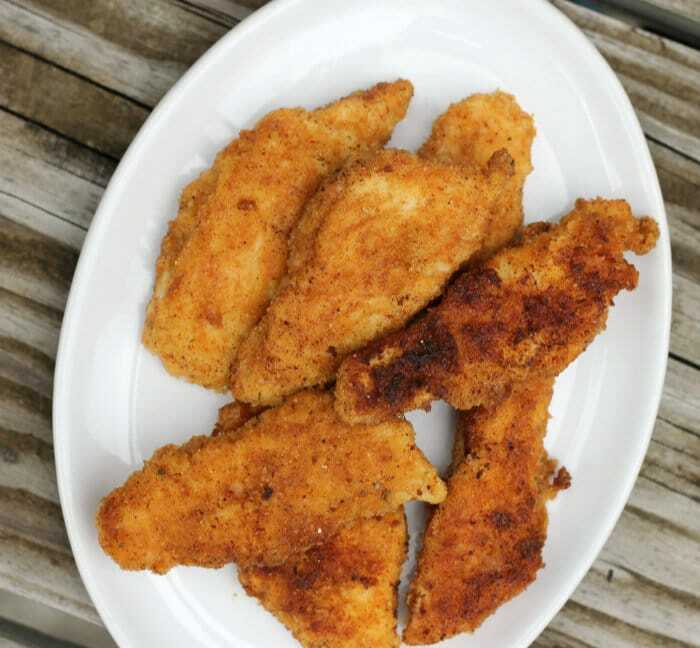 I thought that I had panko bread crumbs in the pantry and thought that would give the chicken strips a nice crunch, but when I went to the pantry all I could find was plain bread crumbs. But I forged forward and used the plain bread crumbs, sometimes you just have to go with what you have. I made my own taco seasoning since I didn’t have a packet of seasoning in the pantry, but you can buy taco seasoning in a packet if you like. The chicken strips were totally full of flavor. It was just my son Adam and myself that ate these, Mike was traveling. We both enjoyed them. If you are one that does not like a lot of taco flavor I would suggest that you cut down on the taco seasoning a bit, but if you are a taco loving body like Adam I would suggest that you go for the full recipe. 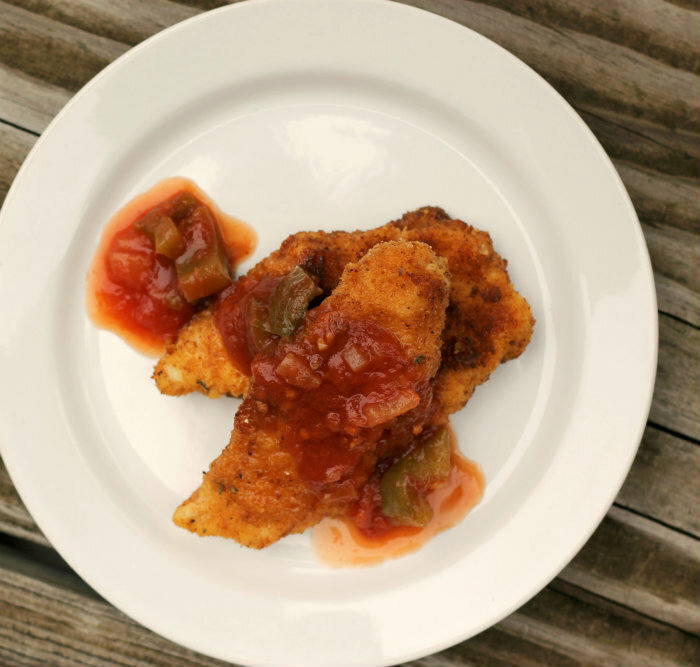 We ate the chicken strips with some salsa, which add to the flavor. In another bowl add the flour and in yet another bowl beat the egg with the water. Set up a work station for the flour, then egg, and then the bread crumb mixture. Heat enough oil to coat plus a little extra in a skillet. First roll the chicken strip in the flour, then dip it in the egg mixture, and then into the bread crumbs, coating the strips evenly with the crumbs. Place in the heated skillet and fry until brown on one side, flip and fry on the other side until brown. It will depend how large your strips are for cooking time, but cook until meat is no longer pink. Feel free to use less of the different seasoning, these chicken strips have a bit of a heat to them.